It’s so hot, you can fry an egg on the sidewalk. Well, maybe. 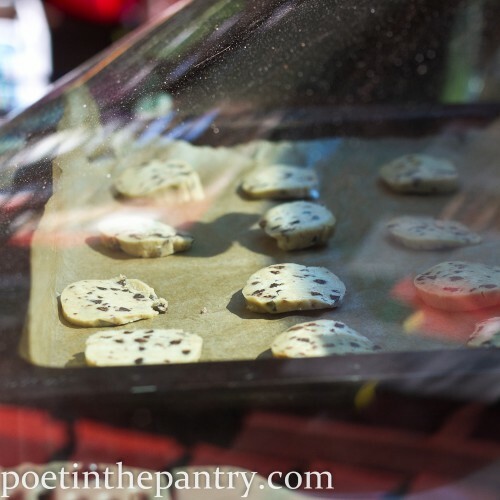 I know one thing that you can do, though: bake cookies on your dashboard. I was. I came across this blog post almost a year ago on Baking Bites and was very excited about it–except we had just seen the end of our last dog-days-of-summer heat wave of the season. So I’ve been waiting eleven months to try it myself. I love a good experiment! I will tell you one thing: doing this, you’ll understand why your mom freaked about you locking yourself in the car during the summer. Oh, wait–you never did that? Must just be my kids… In any case, I thought I would melt for the 5 minutes I sat in the car after putting the cookies on the dashboard, snapping photos like a damn fool. Cookies baked in your car! In the bowl of a stand mixer, cream the butter and sugars until light and fluffy (about 3 minutes). Add the egg and then the vanilla extract. Distribute around the bowl the baking soda, baking powder, sea salt, and flour. Mix until fully incorporated. Remove bowl from mixer and stir in the chocolate chips and Heath bar bits. Cut 2 pieces of wax paper. 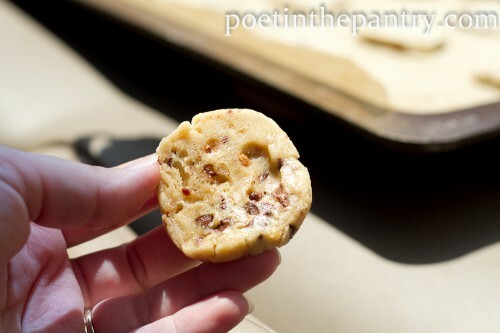 Divide the dough in half and on each piece of wax paper, roll out a log of cookie dough about 2″ thick. Wrap and freeze for 2-3 hours. When you have a REALLY hot day (like 100 degrees Fahrenheit), park your car in the sun with the dashboard facing the sun. Line cookie sheets with parchment paper and cut the cookie logs into ¼″ slices, placing the slices about an inch or two apart on the sheets (they won’t really spread anyway). 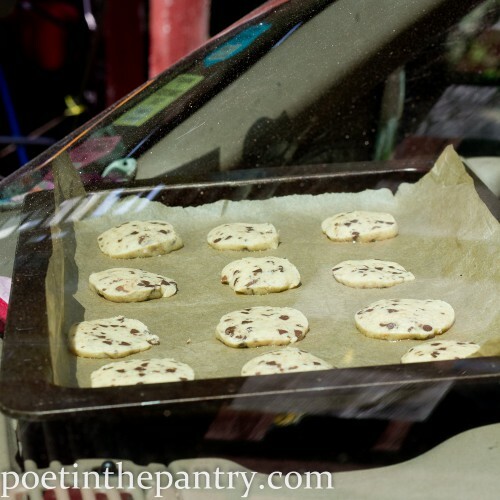 Put the cookie sheets on your dashboard with pot holders or a towel underneath to protect the dashboard. Close the car up tight and STAY OUT. Just like opening the oven during baking is a no-no, so is opening your doors or windows. Let it be. Leave the cookies for 2½-3½ hours. I know it’s a lot to ask, but it’ll be worth it in the end. They will be firmed up but they will not brown. The centers will hold together but not be firm (unless you want crispy cookies). I put mine in a bit early (10:15AM) so I left them out there for 3¾ hours. They were still a bit doughy straight from the car, but they finished up beautifully after sitting out to cool. You can bake just one sheet and save some dough for the next heat wave. The dough will keep in the freezer for up to 3 months. Or you can bake them in your oven at 350 degrees Fahrenheit for 8-10 minutes. Living in NYC I don’t even drive. But I love this type of experiment a little nutty but a lot of fun. Now I am just going to have to do this! I know my son will get a kick out of making cookies in the car! Too fun!